If you want to introduce your products or shop in youtube, metacafe or vimeo video movies will be useful to your "Video gallery" module. 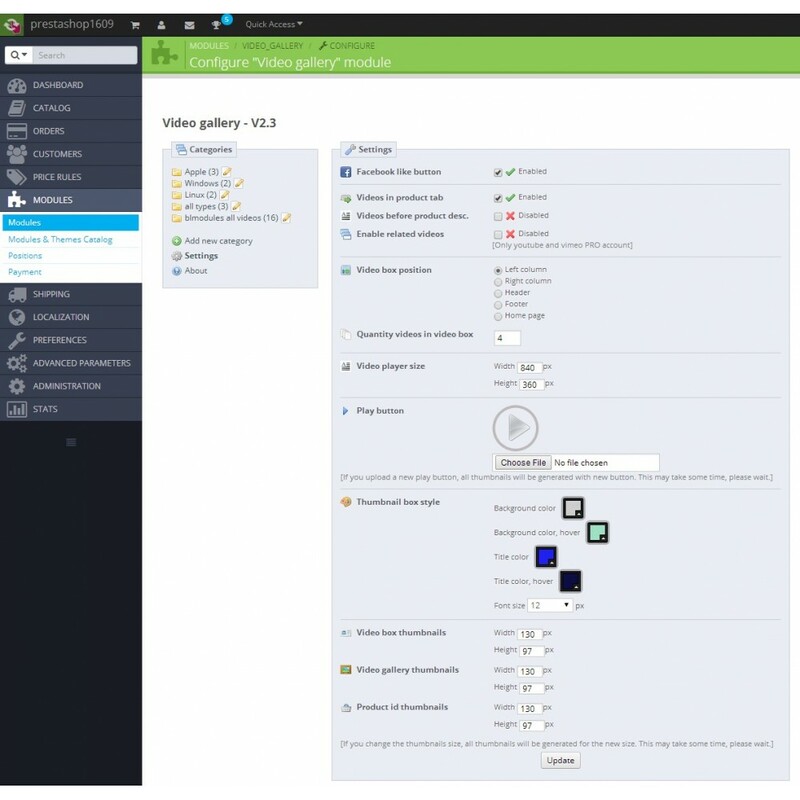 If you want to introduce your products or the whole e-shop by using video clips, our Prestashop “Video gallery” module is exactly what you need. Save your server space and traffics – add your video in one of the popular video sites (youtube.com, metacafe.com or vimeo.com), copy URL and use videos in your Prestashop. 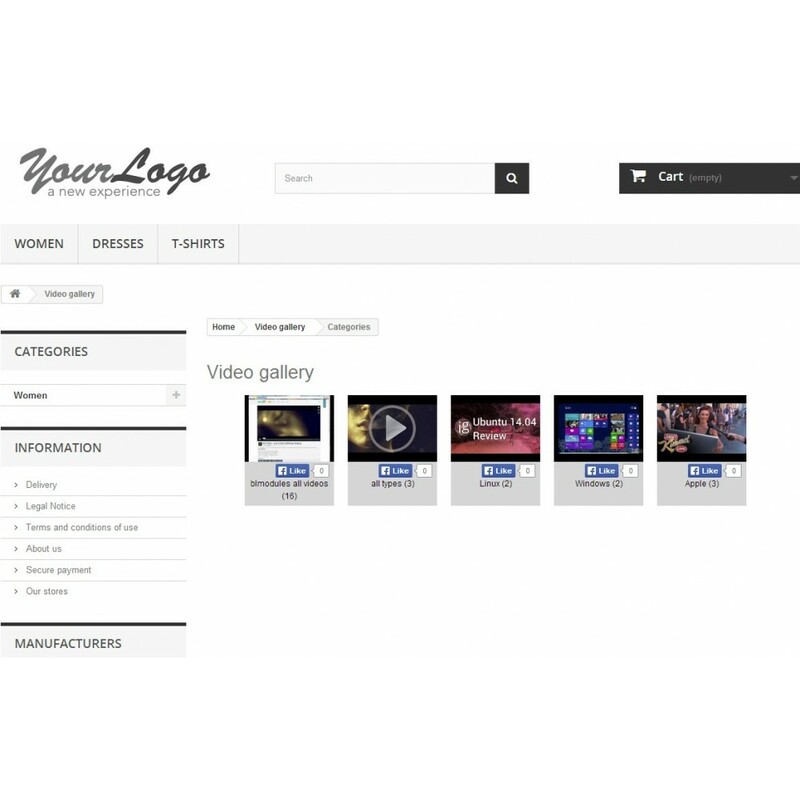 You can use a video gallery with categories or show videos tied with the products (before description or in tab). Users can share videos and categories in Facebook by liking it. With this Prestashop module, only video thumbnail is loaded on the webpage, while video itself is opening in a nice shadow box. 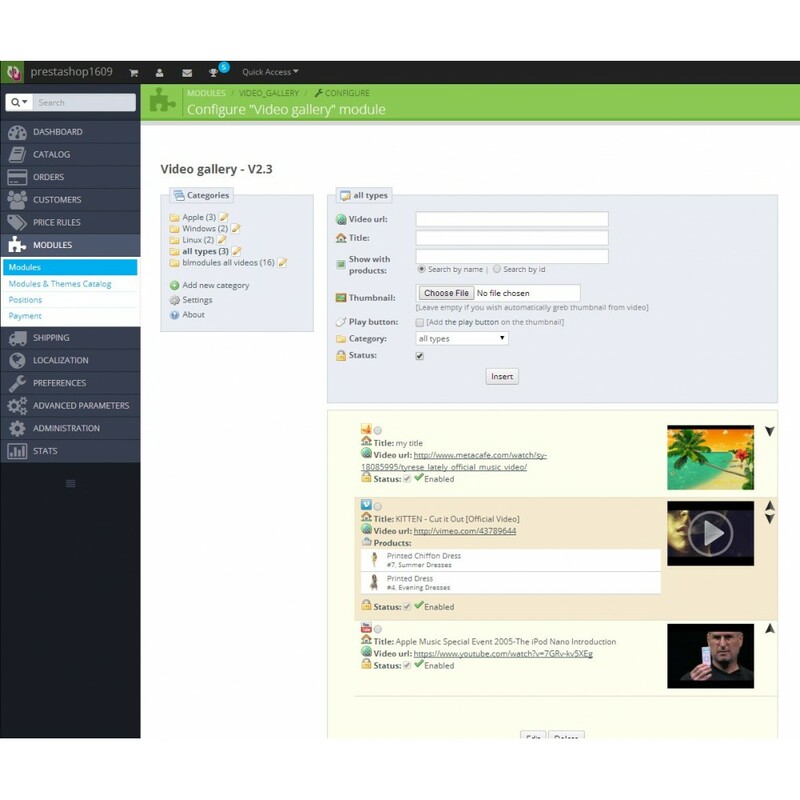 “Video gallery” module allows you to create and edit categories as well. 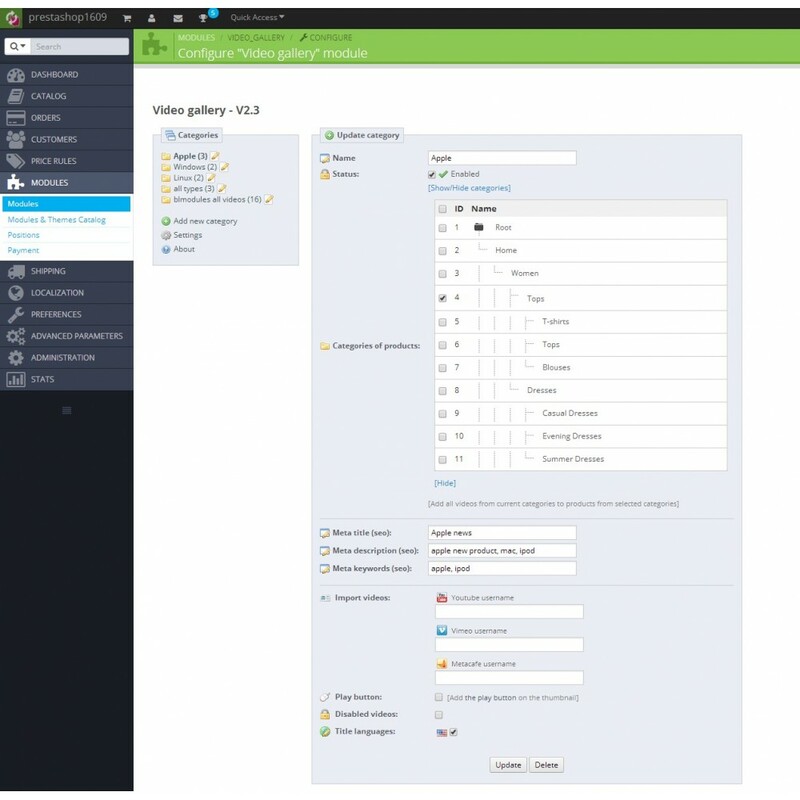 When you insert videos, you can change its position – just drag and drop; change status – enabled or disabled; edit; delete. If you don‘t like video thumbnail from video file, you can upload your own image and add on thumbnail “play button” watermark. Module to provide insurance, extended warranties, options, samples when your customers place an order. Export products/categories into XML files. 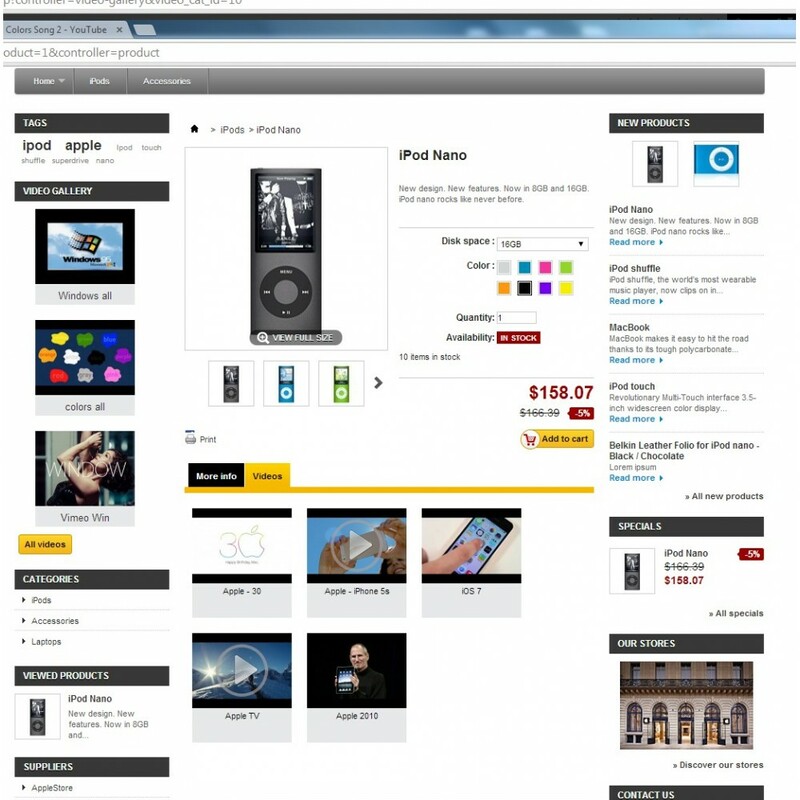 Compatible with Google, Facebook, Siroop, Skroutz, Xikixi, Fruugo, Hansabay, Marktplaats, Shoptet and others. This "XML Feeds" module exports "PrestaShop" products and categories into xml feeds. With this module you can share your database with other persons.